In this collection, the authors review temporal control of tissue homeostasis and repair by the circadian system. The molecular regulation of circadian timing has been well-characterized in several species as a highly conserved transcriptional feedback loop that maintains roughly 24-hour cellular periodicity. A current challenge is determining how the outputs of the master clock affect peripheral oscillators and numerous biological processes. A subsequent study seeks a more detailed understanding of the physiology and molecular mechanism underlying circadian changes in the plasma of glucose, which might allow for the identification of novel targets for the developing therapeutic approached to the diabetes and obesity diseases. Procambarus acanthophorus, a burrower crayfish, follows a nocturnal circadian rhythm due to the way it spends long periods of time building tunnels to reach the water table during the dry season. Therefore, it follows that this species must have a close relationship with soil. The authors suggest that soil might be an ecological factor with high perceived value, influencing ecological aspects, and physiological functions such as growth, reproduction, and organization of the circadian system. 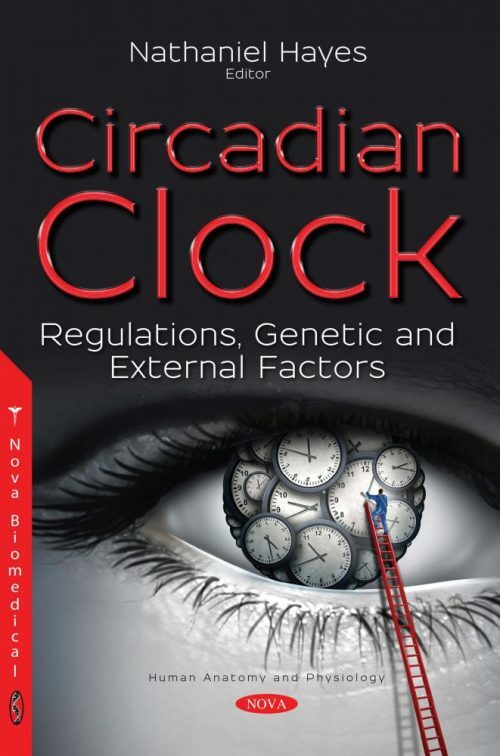 The genes involved in the maintenance of circadian rhythm and its impact on the immunological system are described as disruption of the circadian rhythm leads to significant alterations of the organism and is associated with several biological responses. In the concluding review, some of the most useful characteristics of zebrafish for studying the molecular, cellular, and behavioral aspects of the circadian clock system are described. Zebrafish have been established as an attractive vertebrate model for the examination of light signaling pathways and their impact on the cellular clock because zebrafish cellular clocks have an unusual attribute of being directly light responsive. Additionally, the molecular components of the mammalian and zebrafish cellular clocks are highly similar.